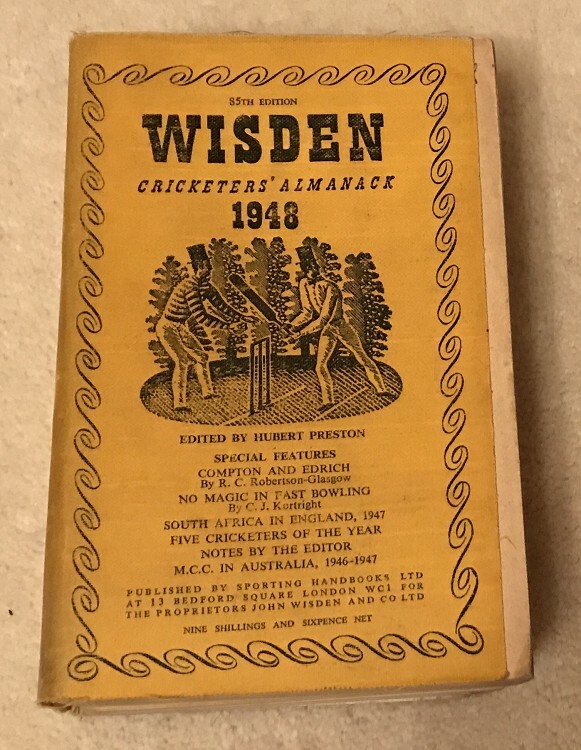 This lot is a 1948 Original Linen Wisden. It is in Good condition but note this is such a a poor year regarding quality of the Wisdens. The covers are quite bright but spine cloth a bit darker and coming away a touch (good hinges still) for an 1948 the internal quality is a touch better than average for this year. A name or signature to page iii. A tough year to find, this is just above average for the year but a nice price. More Photos on request. Please see the large pictures. Other 1948s available on request.